The Extreme Sailing Series™ is the ultimate Stadium Racing championship, which visits eight iconic cities across three continents throughout the season, and it is heading to San Diego from October 19-22, 2017. The global Series pits teams of the world’s best sailors against each other on identical hydro-foiling GC32 catamarans. The state-of-the-art boats can fly up to two meters above the water on their foils, making for a wild and exciting show for onlookers. The world-class teams will compete on a stadium-style racecourse, set just meters from the shore of the free entry Race Village located on Harbor Island, putting spectators at the heart of the sailing action like never before. The Series looks set to make a show-stopping debut in the iconic city for the penultimate Act of the season and it is not to be missed. The free entry Race Village will be located on Harbor Island, the man-made peninsula located close to Downtown San Diego, and will be open daily to public. As well as offering front row seats for the GC32 Stadium Racing, there will be plenty of on shore entertainment for all. 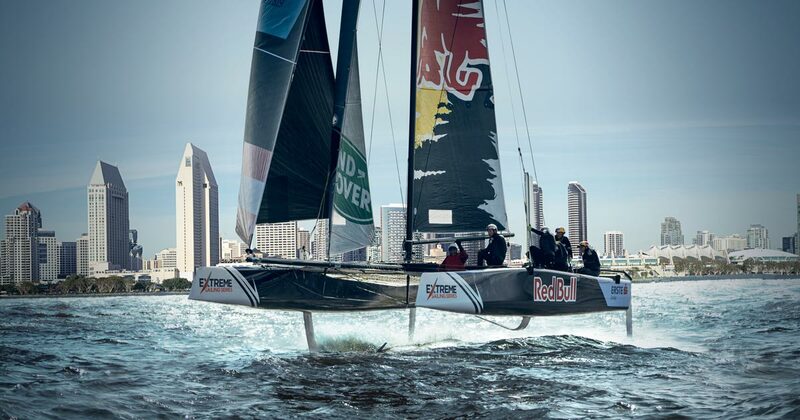 For those looking for a more unique experience, Extreme Sailing Series San Diego offers a range of VIP packages, which include the opportunity to race on board a GC32 catamaran.